The Tascam DR-60D 4-Channel Linear PCM Recorder captures 4 simultaneous channels of audio for storage on an SD card (low-capacity SD card included – larger cards are rentable separately. See compatible cards here). 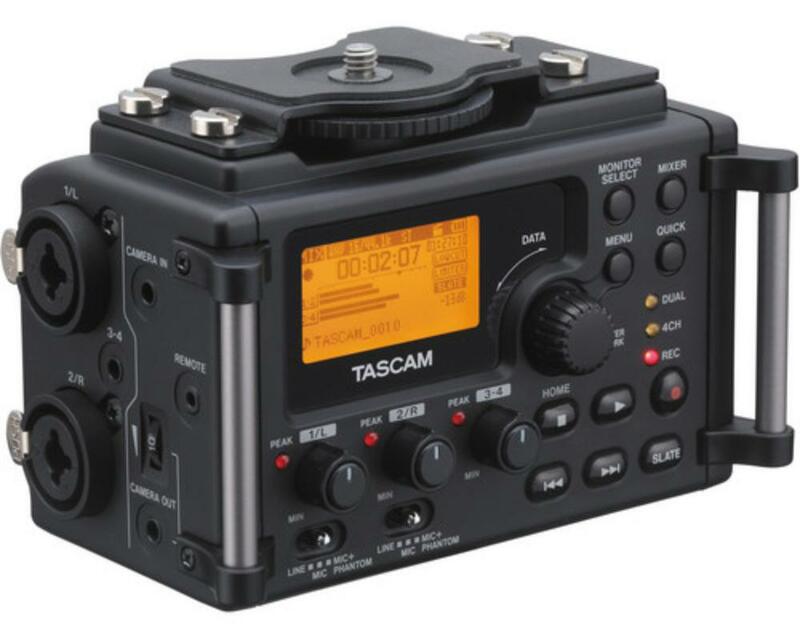 It is a professional-level PCM recorder capable of recording at 44.1, 48 and 96 kHz sample rates and at bit depths of 16- and 24-bit. 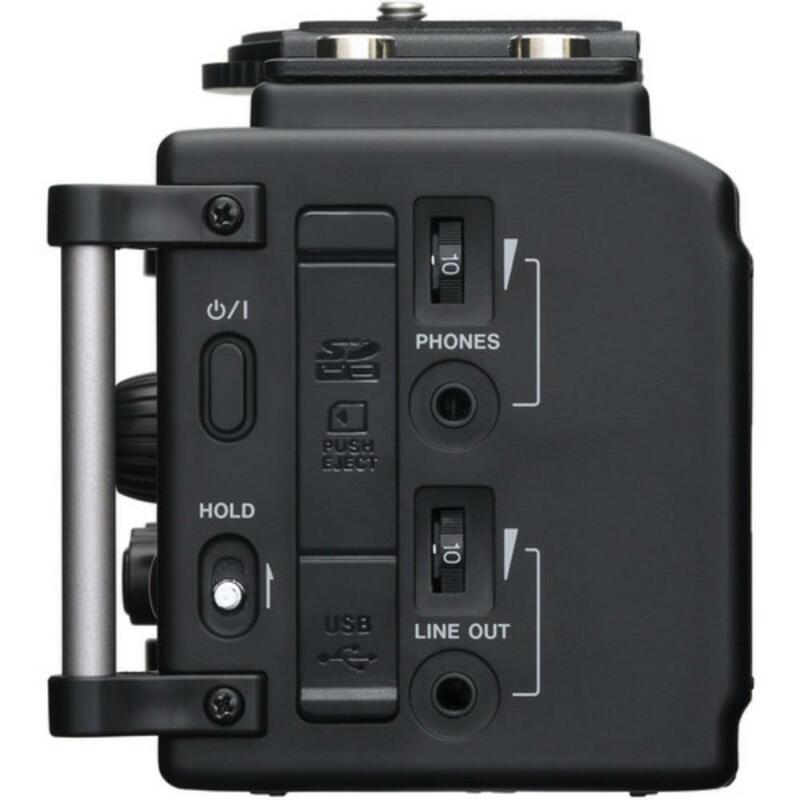 This recorder also features auto tone and slate tone functions that aim to simplify synchronization to video files during editing. Screw mounts on either side of the recorder allows for connection on both a tripod and a DSLR camera. 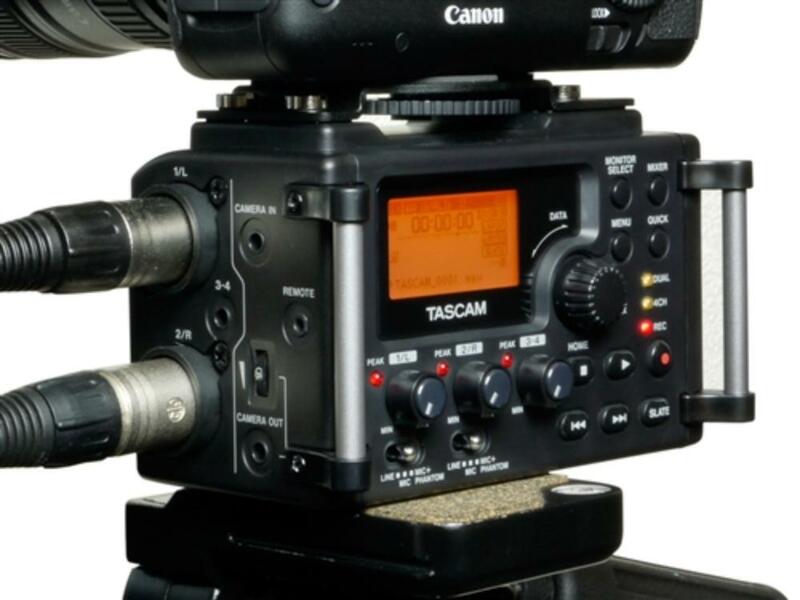 This recorder is ideal for DSLR filmmakers. • This recorder mounts to the top of a tripod (not included). 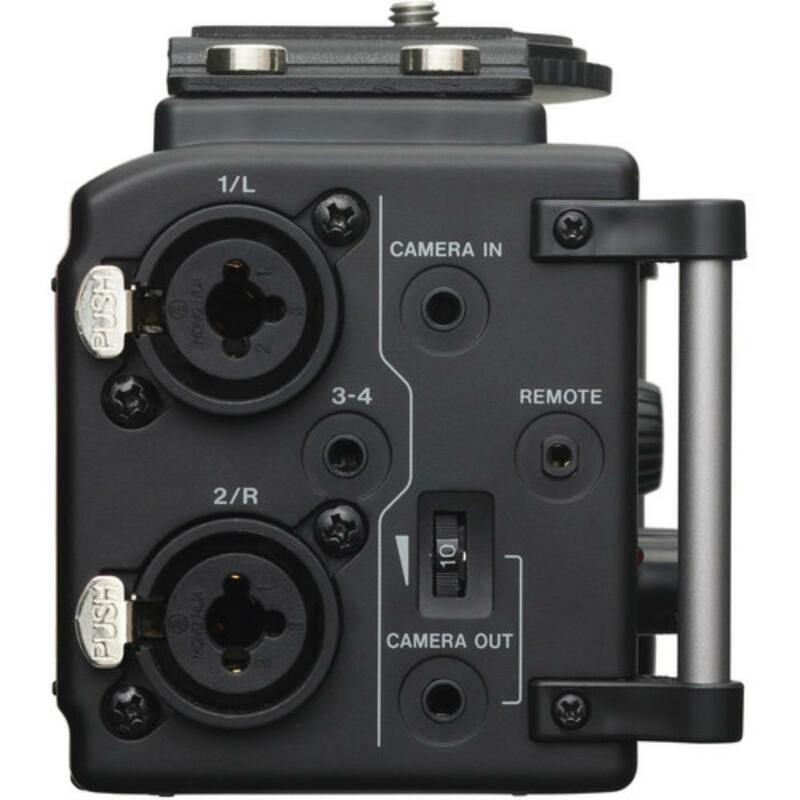 Your DSLR camera then mounts on top of the recorder. This device operates on (4) 1.5V AA batteries (not included). It can also be powered via USB (included) from your computer.